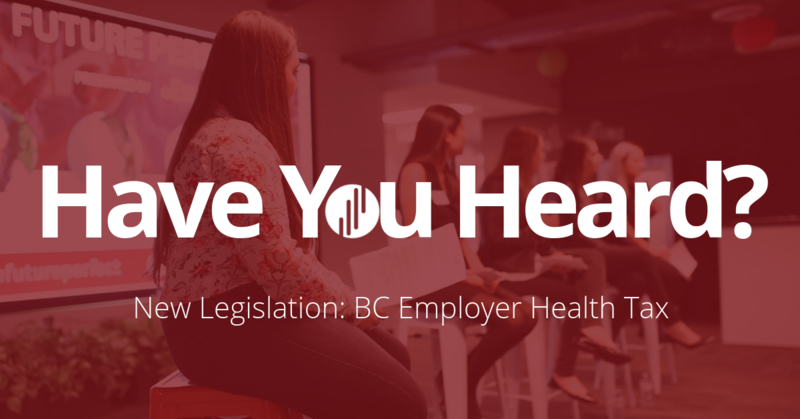 British Columbia is introducing a new Employer Health Tax. It was announced earlier this year that the provincial government is scrapping Medical Service Plan (MSP) premiums for British Columbians as of January 1st, 2020. This means financial savings of hundreds each year for individuals and families. It also means that businesses can scratch MSP administration off their to do list. The provincial government needs to recoup the lost revenue somehow, so it’s proposing to introduce an Employer Health Tax (EHT) as of January 1st, 2019 – moving the health premium burden from individuals to businesses. This new tax is expected to hit small-medium sized businesses hard with rates starting at .98 percent for those with annual payrolls over $500,000, increasing to 1.95 percent for payrolls of more than $1.5 million. Although many businesses in BC will be impacted by this new cost, small businesses with payrolls of less than $500,000 will not have to pay the new tax at all. This type of tax is also not new to the rest of Canada. Compared to other provinces that already have a similar tax in place, BC’s will be among the lowest rate. In 2017, Quebec topped the range of comparative taxes at a whopping 4.26 percent. Despite the budget concern for businesses, the EHT is being seen as a progressive move towards a fairer tax system and will provide a higher overall healthcare budget for everyone. Ensure your organization is ready for this new legislation.